The European Space Agency (Esa) says its comet lander, Philae, has woken up and contacted Earth. Philae, the first spacecraft to land on a comet, was dropped on to the surface of Comet 67P by its mothership, Rosetta, last November. It worked for 60 hours before its solar-powered battery ran flat. The comet has since moved nearer to the Sun and Philae has enough power to work again, says the BBC’s science correspondent Jonathan Amos. An account linked to the probe tweeted the message, “Hello Earth! 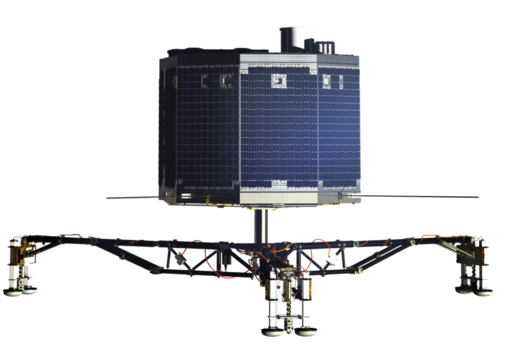 Can you hear me?” On its blog, Esa said Philae had contacted Earth, via Rosetta, for 85 seconds on Saturday in the first contact since going into hibernation in November.